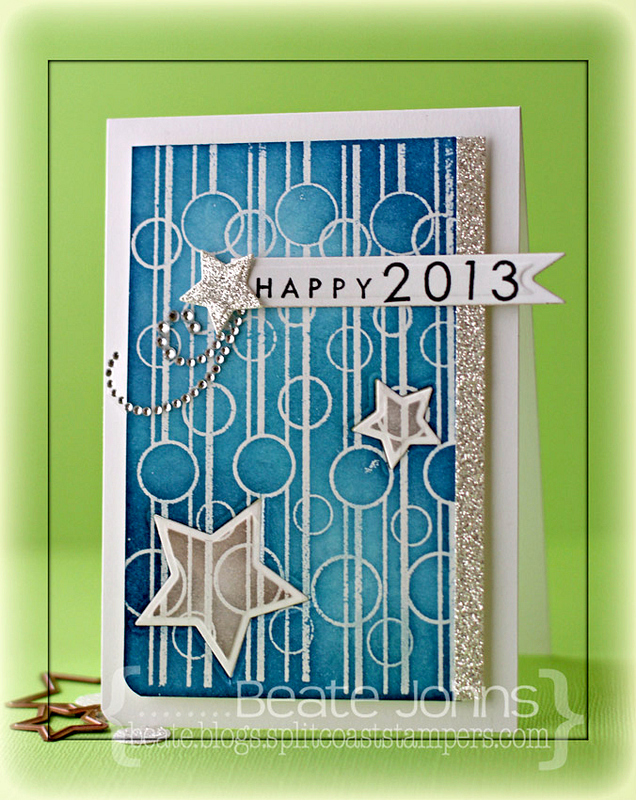 One of last weekend’s VSN challenges was to create a card with the Salted Background Technique. That was the perfect time for me to create a a video for that technique. 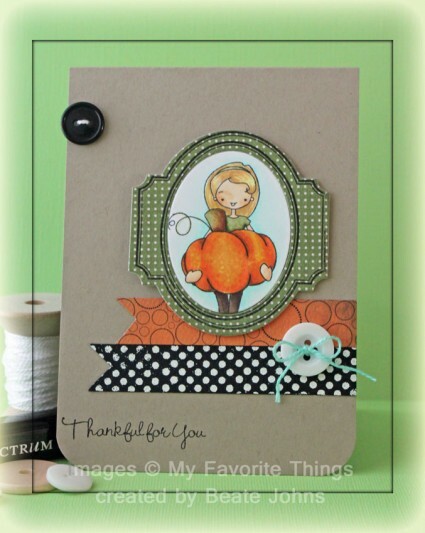 I had received the newest order from Sweet ‘n Sassy Stamps latest release. I knew I wanted to use the gorgeous Snowflake Swirl image for that technique. 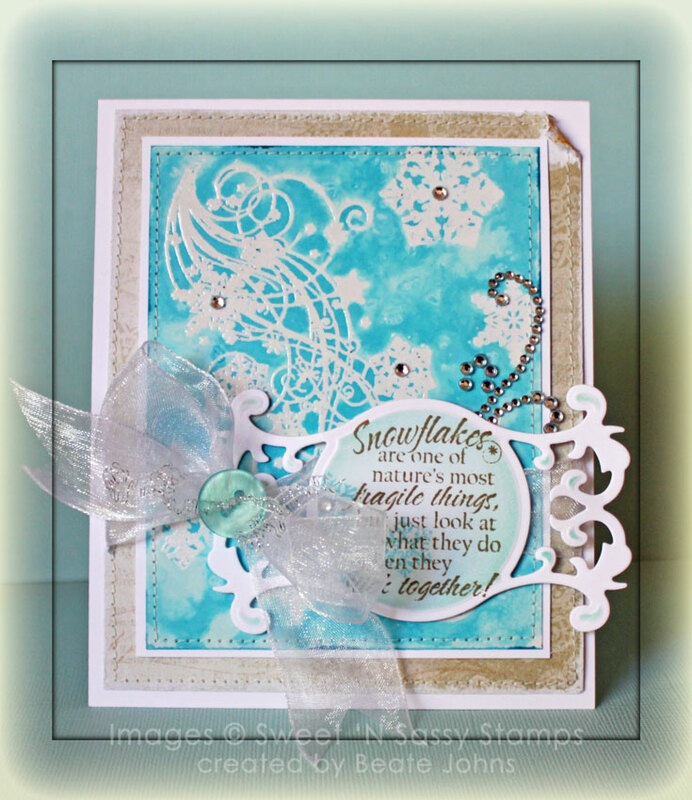 I embossed the Swirl and a few snowflakes on a 3 1/2″ x 4 1/2″ piece of Glossy Cardstock. Tumbled Glass Distress Re-inker was brushed over the cardstock, rock salt was sprinkled over it and the cardstock was misted with water. 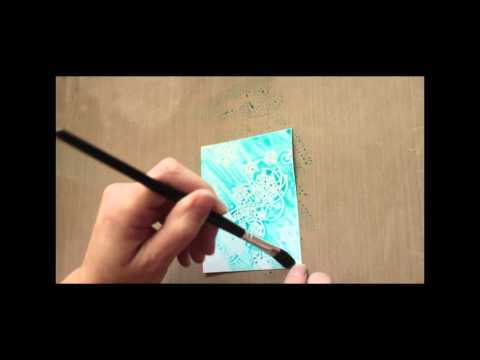 After the background dried, it was adhered to a 1/4″ bigger piece of Neenah Solar White cardstock. A 4 1/4″ x 5 1/4″ piece of MME Lost & Found 2 Sunshine paper was sanded and the edges were stitched. The salted background layers were adhered to the paper. A sentiment from the Snowflake swirl was stamped in Frayed Burlap on a piece of Neenah Solar White cardstock that had been cut and embossed with a Fancy Tags 3 die. The embossed parts were sponged with Tumbled Glass ink. White Organdy Ribbon was threaded through the tag and tied around the layers. 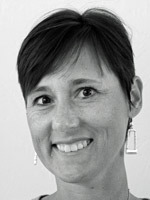 The bow was topped with a button that was tied on with silver curling ribbon. The layers were adhered to the card base, a 4 1/2″ x 11″ piece of white cardstock folded in half. 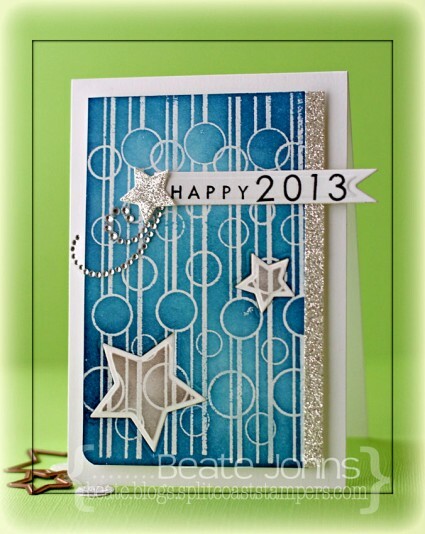 Baby Bling and parts of a Finesse Rhinestone swirl finish off the card.